Precise, repeatable geo located aerial survey maps and analysis. Get the resolution and accuracy you need for less! From initial consultation our mapping experts will create a data acquisition plan, decide which cameras are most appropriate and then head out into the field to capture the required data. We then process the raw data into a format ready to be used by you. 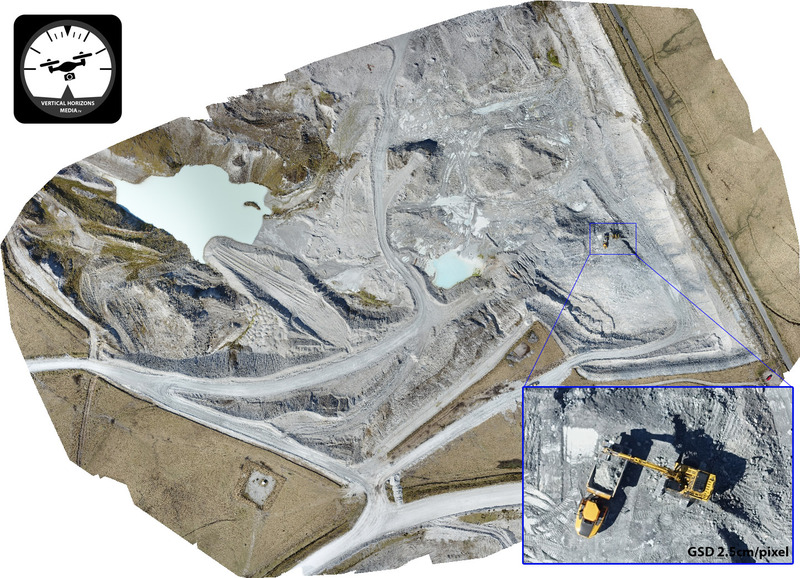 We believe capturing 2D and 3D geospatial imaging should be cost effective and hassle free! 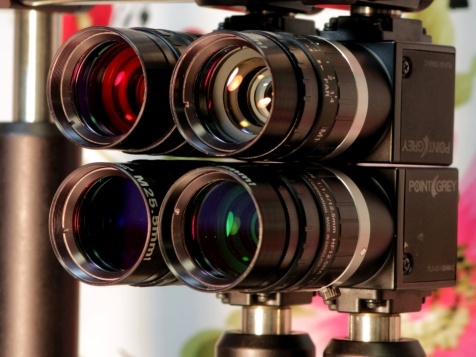 Our camera systems can capture visible light, infra red and everything between. We can create Digital Terrain Models, orthomosaics and false colour models such as NDVI. Using the latest kinematic RTK global positioning system we are able to accurately position our drone platforms enabling super precise data to be collected, normally without the need for ground control points. 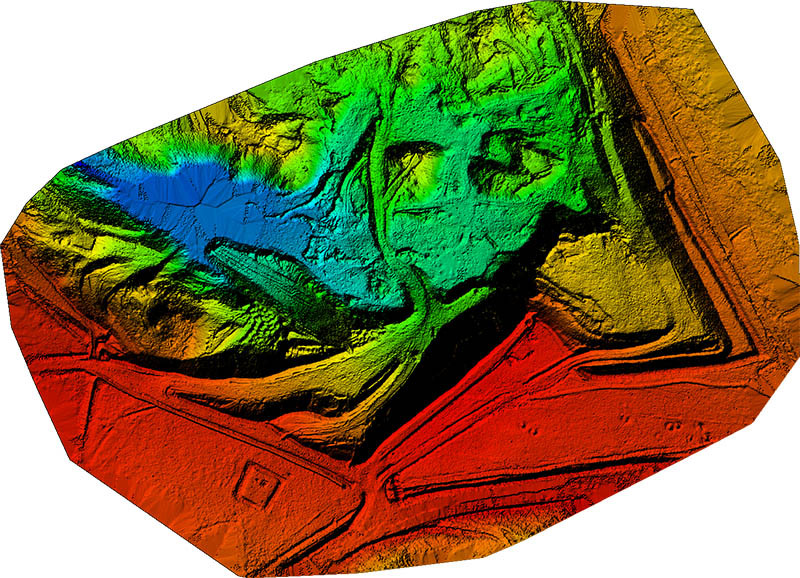 LIDAR – Enabling hyper accurate terrain modelling with image overlay. 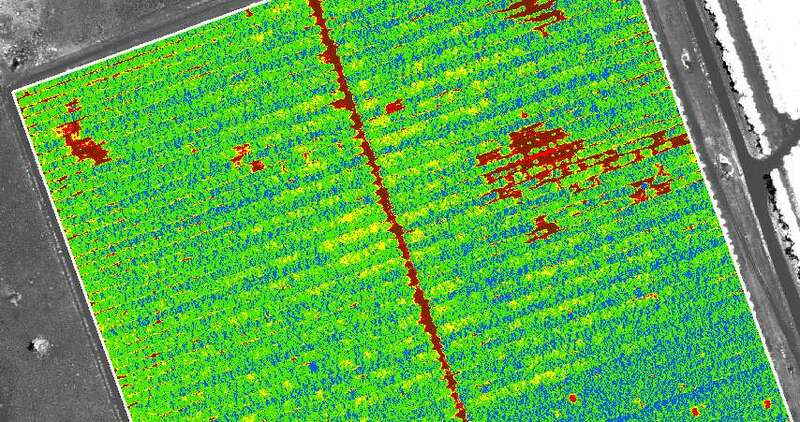 Infrared (thermal) – Creating thermal maps of solar farms. Air quality – Monitoring for gaseous emissions. Forestry – Enabling a rapid insight into tree health and distribution. Marine conservation – Gathering quality data in the hard to access inter-tidal zone. Agriculture – Analysis of crop growth enabling spray and drainage planning. 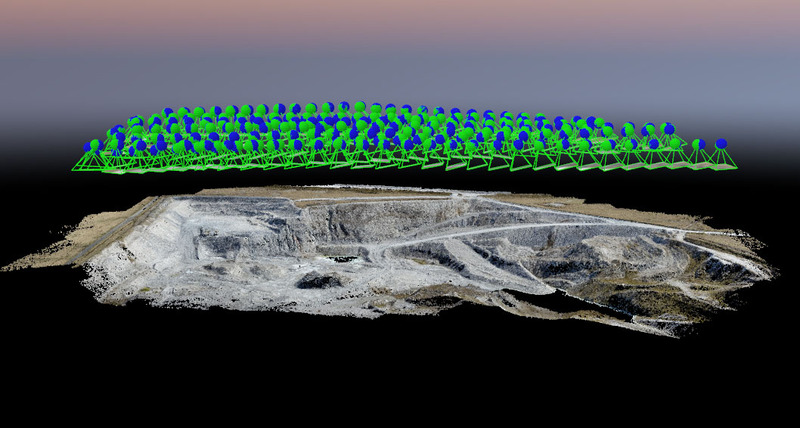 Mining – Creation of digital solid models enabling instant volumetric analysis of stock. Utilities surveying – Repeatable survey to monitor for leaks. Short video showing a typical workflow using a drone to capture images and then various software packages to process and render the images into a useful output. To enable planning of mineral extraction close to a public road it was decided that a mapping survey would be conducted. This enabled a highly accurate geospatial model to be created which has been invaluable for further planning. 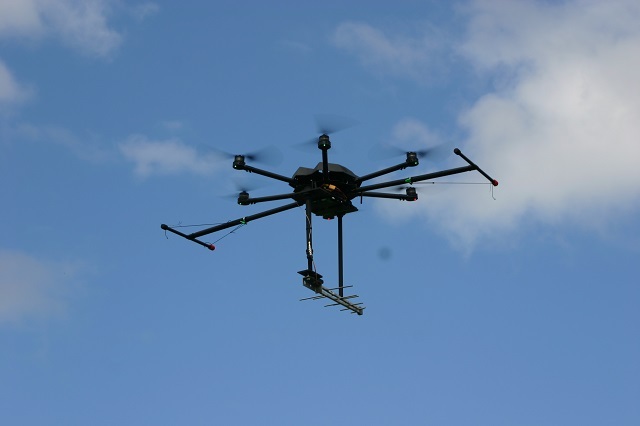 Further survey flights will be conducted as mineral extraction occurs enabling a precise record to be held. 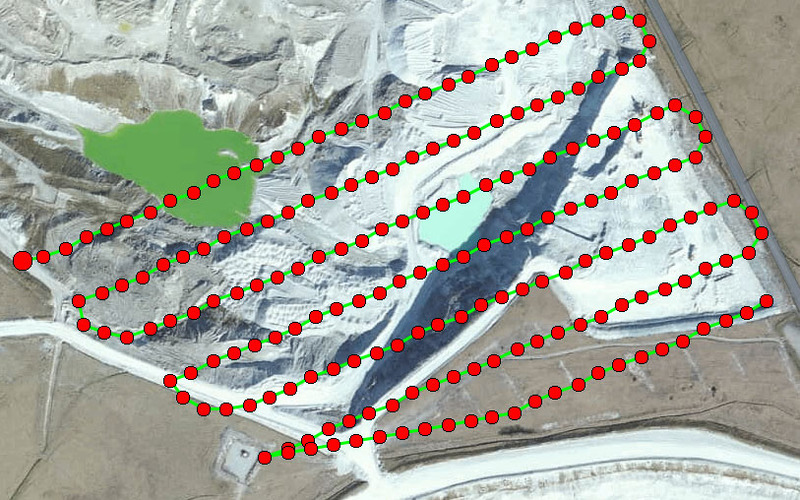 Survey flight track (green) showing exact location each image was captured (red dots). Advanced computation takes place to analyse the content and GPS location of each image before a 3D pointcloud of the terrain is created. The resulting orthomosaic, geotiles or digital solid model are then rendered and pacakged up ready for use. Data can be imported into any GIS package including ArcGIS, Mapinfo and so forth. If you do not have a GIS package we can provide an easy to use web-based interface to view your imagery data. Its super easy and we will be on hand do offer advice and assistance.